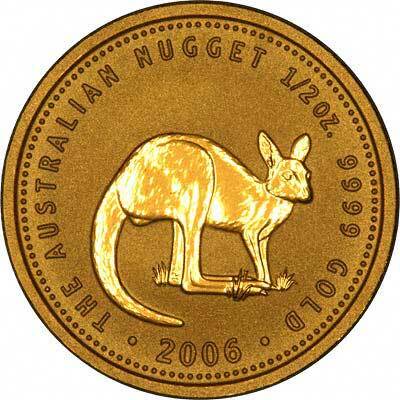 The design for the 2006 nugget features a young kangaroo facing right. 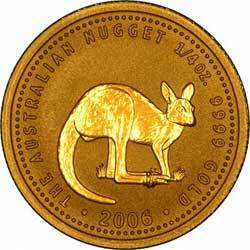 For large nuggets of any dates, please see our Large Nuggets page. 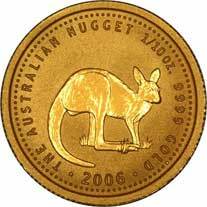 The designs on the large nugget coins do not change each year. 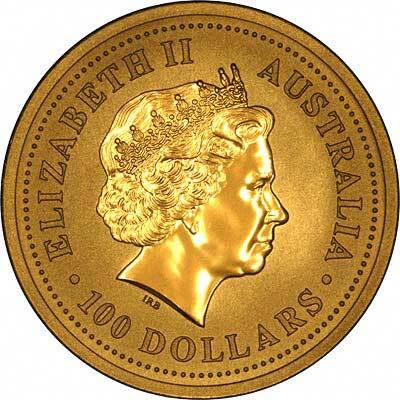 The Perth Mint in Australia also produce a Chinese Lunar Calendar series of bullion coins. 2006 is the start of the Year of the Dog. These are produced in 8 different sizes, and the designs of these do change each year in all sizes.